Over the past few years, there has been a huge shift from betting to football trading. There are a number of reasons for this, not least the fact that bookies are trimming margins finer than ever and restricting profitable accounts much more quickly. That makes profitable football betting increasingly difficult to achieve and even the most successful football betting systems struggle when you can't get bets on! Technology is also playing a part. 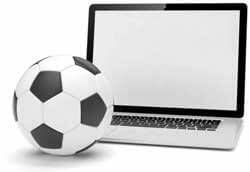 Most of us now have fast internet connections, mobile devices and access to websites which help us to stay in touch with football matches all over the world. Betting exchanges - such as Betfair, Smarkets and Matchbook - mean that trading football markets is easier than ever. Finally, we have the simple fact that trading is more profitable and even the best football betting system is no match for a skilled football trader. The challenge, of course, is how do you find Betfair trading systems that work so that you can take full advantage. In this article I will explain how football trading differs from betting, how to start out with Betfair football trading strategies and how you can aim to trade football for a living. It's not easy to achieve, but it's not as difficult as you think either. Does Trading Need Lots of Time? You can think of trading as football betting in-play. Unlike football betting systems, you can enter a trade once the match has started, exit before it has finished or both. You could even use a pre-match football trading strategy which means that your trade has finished before the match even kicks off! As well as being able to back teams at better prices, with trading you're able to lock in profits and avoid the agony of late goals spoiling your bet. There are lots of Betfair strategies that work and I'll share a few of them with you shortly. A traditional bookmaker offers punters the chance to back various outcomes. It might be the home team to win, over 2.5 goals, a particular player to score, or any one of dozens of other options at prices set by the bookie. However, at a betting exchange it is the punters who set the prices on both sides of the book. In other words, you can choose to back an outcome as if you were using a traditional bookmaker or go opposite and lay it. Essentially, you can become a bookie! I have explained betting exchanges in much more detail here, including back and lay bets, commissions payable, Betfair's Premium Charge and more. What is important from a football trading point of view is that you can back and lay exactly the same outcome at different stages of a football match and at different prices. It is this which makes Betfair trading strategies so profitable. From a Betfair trading point of view, a football match is nothing more than a 90 minute stock market. Let’s say that Dave is a financial trader looking to buy shares in Coca-Cola. He checks the financial history of the company, strength of the competition, current market conditions and so on. Based on all the data he can find, Dave makes an informed judgement about future profit and growth potential. He looks at the share price and, if it shows some value, he decides to buy. If Coca-Cola release some good news – perhaps a new flavour which starts selling very well – the price rises and Dave can sell his shares. The difference between the price Dave bought his shares at and the price he sold them for is his profit. 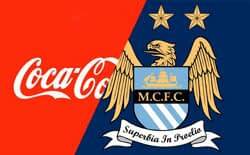 Switch out Coca-Cola for Manchester City and the same criteria apply. As a football trader, Dave checks previous performance, strength of the opposition, recent form and any other useful statistics that he can find. In exactly the same way, he makes an informed judgement about Manchester City’s likely performance in their next match and looks for value in the various markets. It may be that Dave expects Manchester City to score the first goal of the game during the first half. He then has a number of markets he can choose to trade in; match odds, next goal, half-time score and many more. Each of these markets lasts for a maximum of 90 minutes and Dave will know the outcome of his investment in that time. It’s as if a stock market has been condensed into a very small amount of time. Price movement is all you need to make money with football trading strategies on Betfair. The only challenge is that you need to figure out which prices are going to move and in which direction so that you can "buy" or "sell" in the football stock market. Time decay is the process of prices reducing over time. You may well have seen a very low 0-0 price towards the end of a football match and that's because there's not much time for either of the teams to score a goal. Because it's so likely in this situation that the match will end 0-0, the price is low even though it might have been very high at kick-off. If there are no goals in the first half, 0-0 will often be around a third of the price it was at kick-off. The price continues to tick down as the second half progresses and hits 1.01 at the final whistle. Goals change games and they affect prices too. For example, if a match kicks off with the home team priced at 2.00 to win and they take the lead, they are now more likely to win the game and the price drops accordingly. The price of 2.00 converts to 50% probability of a home win. At 1-0, perhaps the probability of a home win rises to 75% which makes the price now 1.33. That's quite a drop! If you tap this scenario into our hedging calculator, you will see that from a £100 back of the home win at 2.00 you will now be able to lock in £50.38 profit (before commission) no matter what the final result. That's a great example of the power of football trading! Red cards also affect prices, often causing markets to overreact. Many fans think that a team with 10 men will automatically go on to lose by a large number of goals, but traders know very differently. A 10-man team may sit back to defend, especially if the score is level. It's not very easy to break down a well organised defence when a team has 11 men and it's not that much easier against 10 either. The market, however, usually moves in favour of the team with 11 men and sometimes that isn't helpful. Personally, I don't trade matches with red cards. There are so many fixtures played worldwide that I can quite happily avoid taking any unnecessary risks. If a match I'm already trading has a red card, I try to scratch (exit the trade for no profit or loss) and move on to the next opportunity. Liquidity is the amount of money available in a betting exchange market and it varies greatly from match to match. When you want to trade out, you need to have someone else offering the price you need on Betfair otherwise you're stuck. Match Odds markets tend to have the best liquidity and in bigger leagues, such as the English Premier League, liquidity is never a problem. There is always money waiting to be matched on both sides of the market – back and lay – so you can get in and out of trades whenever you like. In smaller leagues, perhaps English League One, liquidity will never be as good. It may be enough to trade on a Tuesday evening when there are not a huge number of fixtures, but at 3pm on a Saturday there will be lots of bigger leagues sucking up the available money. You may well be able to get in and out of trades with smaller stakes, but you might need to wait a few minutes to be matched. There will be times when a goal will go against you while you wait, so bear that additional risk in mind. Smaller markets in smaller leagues are even more troublesome. The first half match odds market – known on Betfair as “Half Time” – is not nearly as popular as Match Odds and, therefore, liquidity will never be as good. Whereas you might get away with the League One Match Odds market on a Saturday afternoon, a Betfair trading system which uses first half match odds will be far more difficult - perhaps even impossible - to trade. If in doubt, stay out. Most new traders believe that they just need to find the best football trading strategy and then they will make a lot of money. Unfortunately, it's not quite as simple as that. 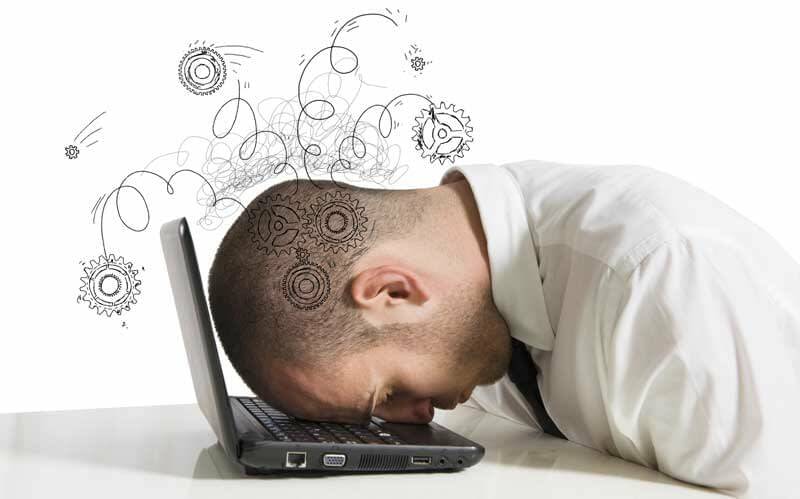 Think about it... if profitable football trading was so easy then you wouldn't go to work on Monday morning! You'd be sat at home, pulling money out of Betfair like it's a magic ATM. But you don't do that, do you? Amazingly, some people still fall for the promises of easy riches. There are lots of shady characters online who will tell you that they have unlocked various football trading 'secrets' which has allowed them to develop the best Betfair trading strategy so now sports trading for a living is no longer a dream and so on. Don't fall for that rubbish! While there are certainly low risk football trading strategies, there's no such thing as a football betting system which never loses. You will probably come across websites which try to claim otherwise, but ask yourself... if no mathematician has ever worked out a way to avoid losing footy trades, then how come a normal guy managed it in his spare time while working a 9-5? It's just not believable in the real world. Before we investigate other aspects of football trading, let's take a quick look at a few popular football systems. This is the most popular inplay trading strategy and one that just about every football trader uses regularly. It really couldn't be any simpler; you lay the draw in the Match Odds market and when the favourites score a goal, the draw prices rises and you trade out for a profit. The more the draw price rises, the more profit you make. Lay the draw (LTD) is certainly not as profitable as it was when I started trading as there are so many using it. Whereas I used to regularly lay the draw in the Match Odds market during the first half, nowadays the profit margins have been squeezed as everyone tries to back the draw to lock in profit. When there are more people trying to back the draw than lay it, the draw price lowers and the available profit is reduced. The bigger problem is that losses are just the same as they were before, so it takes more smaller profits to cover them. With this in mind, I have completely stopped laying the draw during the full match and instead I split each match into the first and second half. Doing this reduces liabilities and increases profits which works in my favour. The downside, of course, is having less time to find a goal. I talk about lay the draw trading in a lot more detail here. While lay the draw is fairly mundane, correct score trading strategies are much more exciting! There are many ways to trade the correct score market and, because the prices are much higher than the Match Odds market, the profits can be substantially more. However, that can also mean more risk because laying - especially in the first half - is far more expensive. A patient approach to trading correct scores is essential. It is very easy to create large liabilities and then, if goals are not scored, those liabilities become losses and seriously dent your trading bank. 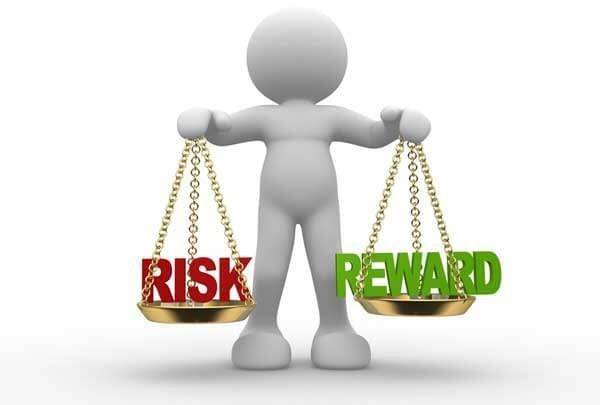 Any correct score strategy you use must be well balanced between risk and reward. You also need a long-term view as there is no way you are going to hit target scores over and over. The Match Odds market has 3 possible outcomes - win, lose or draw - whereas the Correct Score market has 19! Unless you have a crystal ball, you don't know whether a match will end 0-0, 4-4 or any score in between and this is why correct score betting is so difficult. Most traders target groups of scores, aiming to get close enough to them at the right time to make a profit. It's possible to patiently chip away at liabilities and often end up with a 'scratch' trade (no profit or loss) but aggressive trading will result in large losses from time to time, there's no doubt about that. At Goal Profits we use a number of correct score systems, but the majority of our trading focuses on banking steady and more regular profits. I explain correct score trading in much more detail here. There are many other markets which are suitable for live trading football. In fact, almost any market on Betfair can be traded as long as there is enough liquidity. In other words, as long as there are traders looking to back and lay so that you are able to get your bets matched. The Over/Under 2.5 Goals market is especially popular and regularly has enough liquidity for trading, even in smaller leagues. There are a number of trading systems based around both sides of the book and traders will often specialise in one of them. Some football traders back Under 2.5 Goals looking to 'scalp' a bit of profit while a match remains 0-0. Time decay works in just the same way here, moving prices as the minutes tick by. If an early goal goes in, they will often trade out for a small loss or hope to get back to scratch before a second goal is scored. I have tried backing 'unders' and I made some profits here and there, but hoping that goals don't go in was very uncomfortable. To me, football is about scoring goals and I sit firmly on that side of the fence. Of course, exchange betting is just like the game of football... all about different opinions. While I may be backing Over 2.5 Goals, if there's not someone else looking for Under 2.5 Goals then my bets are not going to get matched. It is possible to make a profit before a match evens kicks off! Pre-match trading strategies still rely on price movement, but there's no time decay or chance of a goal going in to move the market. Without these in-play events, prices are much steadier but they do shift up and down and that creates opportunities to profit. 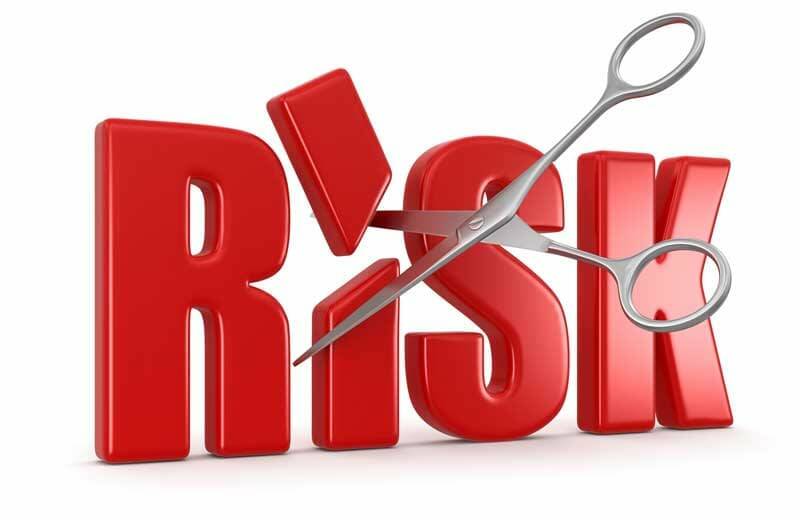 Because there is less risk, traders can use much larger stakes and some even use their entire bank. Pre-match markets generally don't move too much and most 'scalping' strategies rely on making a tick or two of profit. The challenge - as always - is knowing which way they will move. One of the most popular Betfair pre-match trading strategies revolves around team news. If Chelsea's top scorer isn't playing, the markets will move once the news breaks. While we know that Chelsea will simply name another top international striker to play in his place, the markets react and present an opportunity to 'scalp' some profit. If Chelsea are playing a lesser team then they will probably win anyway and the Match Odds market won't move much, but the Over 2.5 Goals market may see a bigger shift. Pre-match trading is especially profitable during early cup rounds when team news is announced. If one of the elite Premier League teams is drawn against opposition from League Two, they will often field a weakened team. Once the market becomes aware, prices move and there are profits to be made. All Goal Profits members are given the opportunity to try out our Pre-Match Scalping Module for free. It monitors all upcoming fixtures, tracks prices and identifies moving markets. Having all of that information on one page makes pre-match trading much easier and quicker. Note: Football trading software is essential when trading pre-match because you need to be able to enter/exit markets quickly and set stop losses to protect your bank. We have an exclusive deal with Fairbot - click here - which gives you 15 months access for the price of 12. You already know that a betting exchange matches a back and a lay bet. One wins, the other loses. Profitable football trading is simply a case of winning more than you lose, but in order to do that you have to take money from other people who are aiming to do exactly the same to you. It's a ruthless game of cat and mouse and you cannot allow emotion to get in the way of your decision making. As soon as you lose control - perhaps to the temptation to chase a loss - you will lose money. Legendary investor Warren Buffett once said, "the Stock Market is a device for transferring money from the impatient to the patient" and it's exactly the same on Betfair, Smarkets, Matchbook or any other betting exchange. If you log in on a Saturday afternoon looking for entertainment, you will lose money. Of course you will have winning days, but overall you will lose. You must be patient and disciplined enough wait for opportunities to outsmart the market. Even the best Betfair strategy in the world will fail if you don't have the patience to use it at the right times! You will get bored and risk your money on something you shouldn't (which we've all done at one time or another). 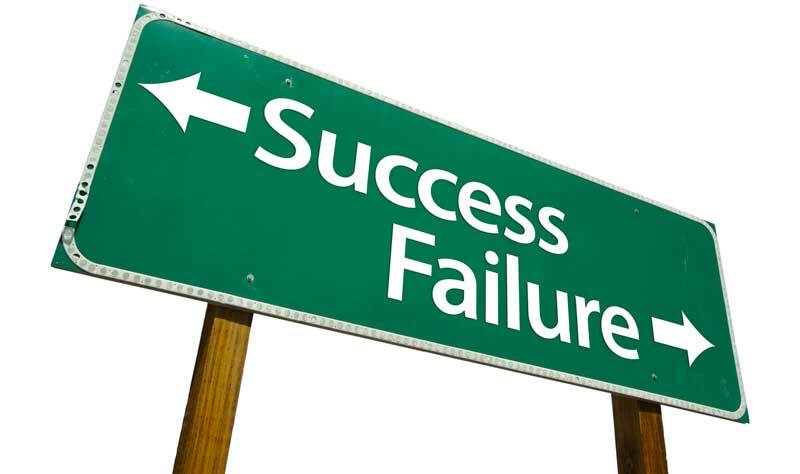 Professional Betfair traders avoid losses as much as possible. While you may argue that all bettors, traders and gamblers do that, it's subtly different. Avoiding a loss is not the same as trying to win a bet. 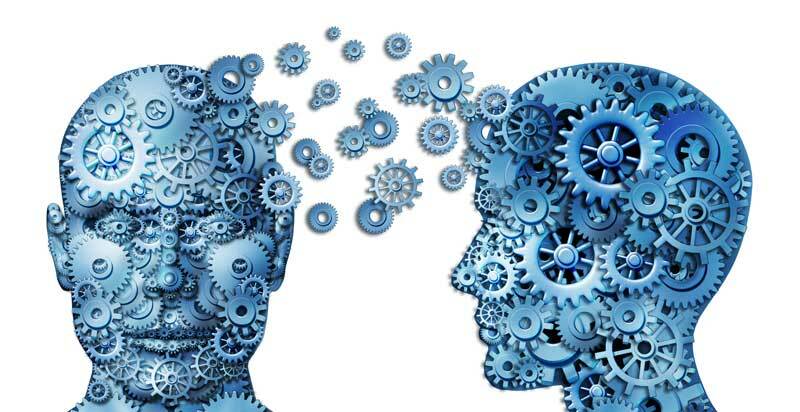 It's a strange concept for most who are new to trading because their mindset is geared up towards winners, winners and more winners. A simple football betting system usually has two outcomes; win or lose. When you trade, however, there are always three possible results; win, lose or scratch. A scratch trade is one in which you neither make a profit nor a loss though remember this... every time you make scratch, you have won your stake back and had a free bet. Essentially, scratch is a winning trade and once you see it that way, trading becomes much easier. Don't assume that the more trades you pile into, the more profit you’ll make; it's all about patience and discipline. There will be days when nothing quite fits and you don't trade at all. That's fine. It's better than getting frustrated, laying the draw when you shouldn't and hitting a loss. You then have to find a winner or two just to get back to where you were in the first place! FOMO is a bank killer and it threatens us all. Think about the last time you 'knew' a team was going to score but you didn't back them. You've probably said to yourself, "I knew that was going to happen!" except, of course, you didn't know it at all. What do you think happens in your brain the next time you see a similar situation? You start thinking about when you 'missed out' and the little voice in your head tells you that you'd better not miss out again. You feel like you're owed something by the market because of that last time, you get tempted in by 'fear of missing out' and - very often - you lose money. You have to remember that the market owes you nothing, it never does and it never will. If you hit a surprise 0-0 and lose money, you're not owed a profit to make up for it. 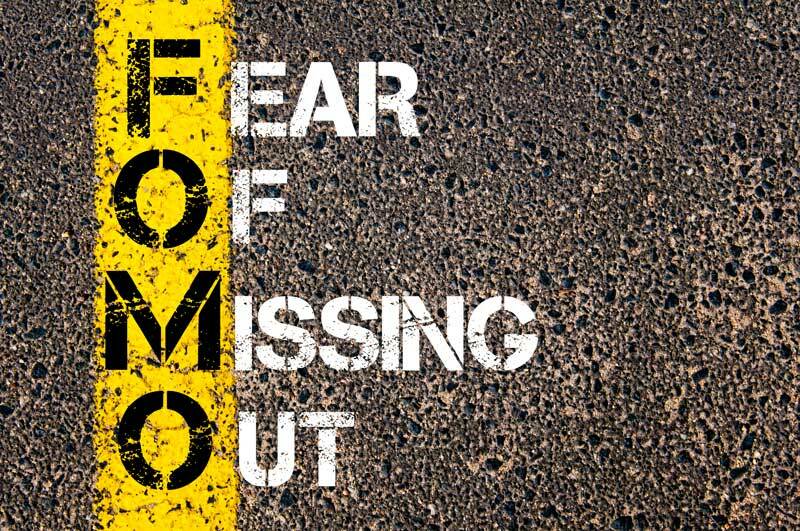 If you let that FOMO mentality tempt you into chasing losses, you will lose more money. If you research a trade and decide that it's not quite strong enough to risk money on, then that's your decision. If it goes on to 'win' then you haven't 'missed out' on a thing. It was a weak trade and sometimes weak trades win, but more often they don't. Don’t kick yourself, don’t get mad, applaud your discipline knowing that long-term it was the right thing to do. You can't let FOMO trick you into thinking that the market owes you something. In order to win money on Betfair, you have to be as ruthless as the markets and keep emotion well away from your trading. A great way of staying disciplined is to put a trading plan together before you login to Betfair. Go through the fixtures for the day and build a shortlist of matches which you are interested in. Once you have done that, dig deeper into the stats and look for any reasons not to trade. You might find that the team you're going to bank on has a series of poor results against similar opposition, perhaps they are in a run of indifferent form or maybe the underdogs have been playing above themselves recently. You can afford to drop potential trading opportunities because they don't look quite right, but what you cannot afford to do is ignore warning signs and trade them anyway. Remember, a winning football trader is patient and disciplined. Once you have your plan for the day, it's set in stone and does not change. It's very easy to hit a couple of losses and let your brain trick you into thinking that you're owed a winner to make up for it. Perhaps there was a missed penalty which cost you a profit earlier on so you look for another trade to even things up. Emotionless markets don't work like that and you can't either! Your brain starts making excuses why a weaker match is suddenly strong enough to trade, you lose more money and feel even worse. It's so avoidable, yet everyone gets sucked in at some point. If a trading opportunity was not strong enough earlier in the day when you judged it with a clear mind, it's certainly isn't strong enough later on when you're feeling frustrated about a loss. Take losses on the chin, learn what you can in order to improve your trade selection process and come back tomorrow with a fresh mind. You will learn a lot from losses and they will always happen to every trader, so accept them. 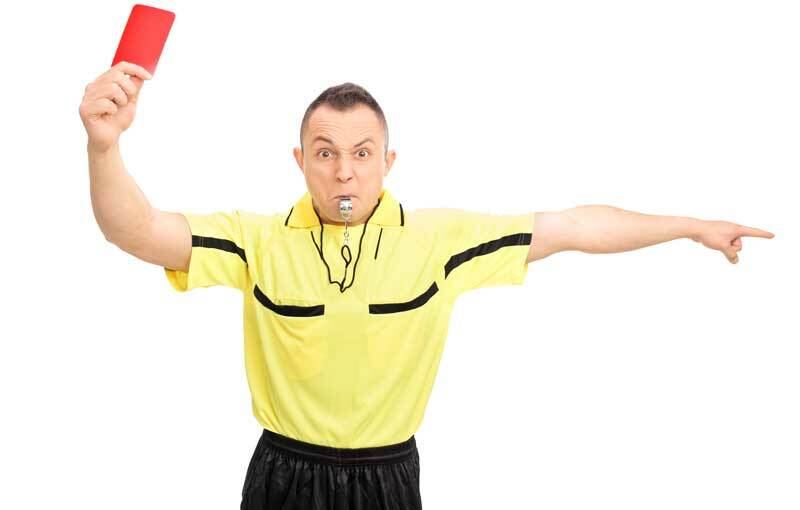 Betfair football trading takes a bit more time than betting – of course it does – but you get so much more control over your money that a bit of effort is well worth putting in. An experienced trader will be able to reduce losses and increase profits which makes trading significantly more profitable overall than set-and-forget betting could ever be. Let's be honest though, trading really doesn't take too long at all. I mean, an entire football match is only 90 minutes and many Betfair trading techniques focus on either the first or second half only which immediately cuts that in half. You can login to Goal Profits at half-time during midweek, research the matches with favourable half-time scores using Team Stats and open a trade or two before the second halves even kick off. Once your trading position is open, what do you have to do anyway? You're usually waiting on a goal, so you can easily go watch TV, read a book or do some housework. A score site such as Flashscores will tell you when a goal goes in, then you can tend to your trade. You can even download the Flashscores app to your phone and go outside to wash the car. With Betfair on your phone, you might not even need to come back inside the house! "I don’t have time to trade" is such a poor excuse, yet I hear it all the time from those looking for a reason to make quitting acceptable. If you really want to be successful at trading, you’re not going to quit but find a way to make it work for you, just as these guys did - click here for tips on trading when short of time. I'm not going to tell you that you can start trading today and immediately start to rack up huge profits. It goes back to what I said earlier that if trading was so easy, then no-one would go to work on Monday morning. In the real world, success does not come easily and everyone knows it. Just like any new skill that you wish to master, there is a period of learning. A 17 year old doesn't start learning to drive today and enter a Formula 1 race a couple of weeks later, so when you learn to trade you will start at the beginning and gradually improve until you reach the level of skill that makes enough profit for you to be happy. 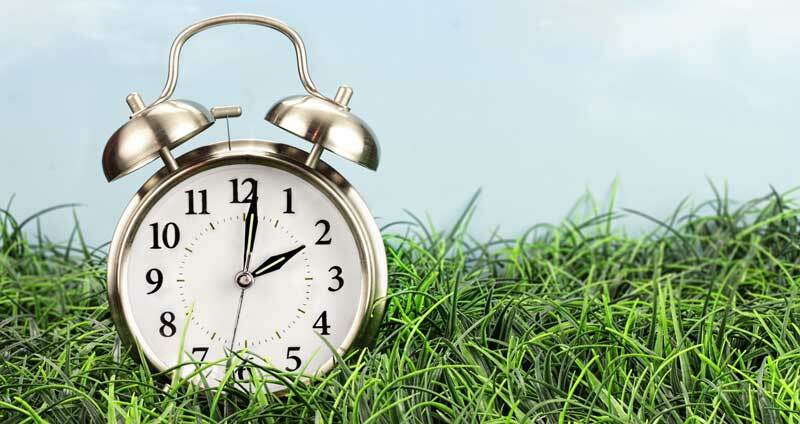 A football trading community - such as Goal Profits - will certainly help to accelerate the time it takes, but you should still be patient and expect it to take time. One of the biggest fails I see is that someone will open a Betfair account, get hold of a football trading system and immediately go in with large stakes. It's absolute madness - a total lack of patience - and most of the time ends badly. If you're new to trading, you're going to make mistakes so start out with small amounts of money and then your mistakes won't cost you much. Why rush in anyway? You're never going to run out of football matches to trade. Remember that Betfair is full of very clever traders whose sole aim is to take your money. Don't make it easy for them! If you haven't traded before, I have a simple inplay football betting system to get you started. All you need to do is let me know where to send it. This strategy is completely free, makes a steady profit and I'm even going to give you FREE football trading tips for life! Once you have practiced trading and made some profit, you will be ready to progress onto one of the exchange betting strategies which has a bit more going on. Most traders will try 'lay the draw' next and that's not a bad idea at all. It's worth reading my LTD post first - click here. 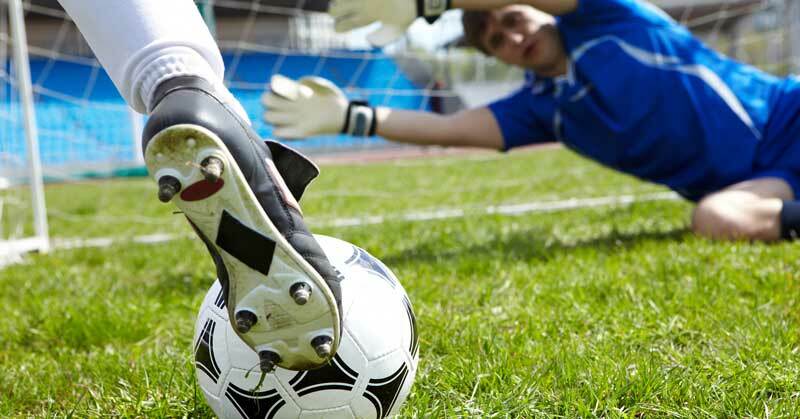 The world of professional football betting is very different from what most imagine it to be. It's nothing to do with knowing what colour laces Harry Kane wears in his boots, but everything to do with mathematics. In particular, compounding and working your trading bank smartly. Financial security and lifechanging freedom is well within the grasp of everyone but - just like football trading - it's a lack of patience which trips most people up. You don't need to be a genius, you just need time. Let's assume you start trading today with a £1,000 bank and split it into 100pts of £10 each. You only need to make 10pts profit per month from football trading for two years, resetting your bank to 100pts at the end of each month, to grow your bank to £9,850. If you carry on for another year, your bank will be worth £30,913 and it accelerates from there. This is what compounding does for your bank. Breaking it down, that's £10 x 10pts = £100 profit in your first month. If the month has 30 days, then you need to make £3.33 daily in order to hit your first target on the way to turning £1,000 into £30,913. That's absolutely achievable! Of course, if you're brand new to trading then it might take you a few months before you can regularly hit your monthly target. Maybe it takes a year of learning before everything clicks into place, but then you turn £1,000 into £30,913 over the following three years. Anyone would be happy with that return, yet most people have no patience and quit after a couple of months because they're not making lots of profit yet. It's simply idiotic. Once you have a decent trading bank, you don't keep it all in Betfair. You keep what you need readily available and the rest goes to work. Perhaps you put some in an instant access savings account (just in case you need it) then you look around at other investments, mainly safe and steady earners, so that your bank is growing without you lifting a finger. Imagine your trading bank is up to £10,000 and you keep £500 in Betfair. If you invest the remaining £9,500 and it returns an average rate of 5% interest over the year, you've made £475 (4.75pts) just by being smarter than the average football trader. Professional football trading is all about taking advantage wherever you possibly can and compounding your bank into a lifechanging amount of money. I talk more about trading football for a living here. Couldn’t understand it at all. Under the heading ‘PATIENCE’, you say that if the price rises, that is more profit???? If the liability is £18 at 2.8 and only £10 at 2.0. then if the price rises to (say) 3.5. the bet liability will rise to £25 won’t it? How is that more profitable? Under the heading’MAKING SCRATCH’ you talk about backing. does that mean a lay bet has already been made? Where can I find more information on this technique, but written so that a novice can grasp the principles and how to calculate the amounts so that a profit is guaranteed? If you lay at 2.00 rather than 2.80 and there’s a goal, that will see the price rise. The difference between 2.00 and 3.50 rather than 2.80 and 3.50 is significantly more, hence a bigger profit. Price movement creates profit and the bigger the swing, the more profit. The ‘Making Scratch’ section is carrying on with the lay the draw trade in which you have already layed the draw, yes.